Outstanding design meets sophisticated technology in Mad Wave's range of X-LOOK Racing Goggles! 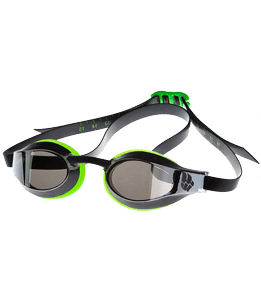 Their innovative lens construction and unique hydrodynamic profile deliver enhanced peripheral vision and maximum speed in the water. An adjustable head strap with tension scale will provide an ideal and secure fit every time you need it! Comes with 4 changeable nose bridges.FINA approved. -The change of the nose bridge on the glasses proved to be not quite a simple manipulation - I was afraid to break it. I plan to use these glasses only in competitions, at short distances (in / s). The glasses are very, very steep.